Choosing a credit card can be intimidating, especially if it’s your first card. Hundreds of options are advertised and they’re all touted as the best. If you understand credit card basics, you can avoid costly and unnecessary fees and other problems consumers run into. To help you get started, we’ve covered the basics here to help you find the credit card that best meets your needs. No single credit card is perfect for everyone. The right card for you really depends on your financial situation and how you plan to use your card. For many consumers, including those new to credit, narrow and focus your search to those that you may qualify for. Without a strong credit score, credit history, credit background , you may need to take out a starter card that has no rewards, a higher interest rate, or one that has an annual fee, or even a secured card that requires you to provide a cash deposit for collateral. After you build up your credit score, you may qualify for better credit card offers, “better” meaning they may offer a rewards program, may not have an annual fee, and you may be eligible for a lower interest rate or an introductory APR offer. Once again, the best card depends on how you plan on using your card. One consumer may want charging convenience with no annual fee, while another might seek luxury travel benefits. The best choice, then, depends on your goals for the card. Many credit cards come with a rewards program. On these cards, your eligible purchases earn points or cash back or miles which can later be redeemed toward rewards, for example, for cash back, or merchandise, or charitable donations or gift cards or even airline tickets, hotel stays. Keep in mind the redemption options vary with the specific card and the rewards values may vary based on how and on what you choose to redeem your rewards for. Also take note, many rewards credit cards charge an annual fee so keep that in mind as you consider which card is a fit for you. When you consider a credit card, you should consider the entire credit card offer. Does it earn rewards? Does the rewards program match your needs? For example if you don’t travel often getting a travel rewards card may not be the best option for you. Is there an annual fee? Do you have the option to earn a bonus offer (when requirements are met) as a new cardmember? Is there an introductory APR offer for purchases and/or for balance transfers? What are the terms, conditions, limitations and restrictions? Can you qualify with your existing credit score and your current financial situation? You need to consider all the different factors to find the best overall deal for your situation. We research credit card offers in order to explain, in plain English, the pros and cons of each offer. Consider this as one place to start researching your next credit card. Your credit score improved. If your credit score has improved since you opened your last credit card account, you may want to consider looking at other offers. You can check your credit score for free on Credit Sesame, and it’s updated monthly. A better score may help you qualify for a more generous rewards program or a card with a lower interest rate. It is important to note that credit scores are just one factor that the credit card companies use to determine if you are eligible for their credit card offers. Credit card companies use a variety of different types of credit score models and other criteria to make credit decisions. An offer fits your plans. Another good time to take out a new card is if you see an offer that will really come in handy for your upcoming plans. If you are looking at a big vacation in the near future, a credit card with travel benefits might help you earn rewards toward travel, hotel rooms, free checked standard luggage, hotel room upgrades or other perks. Just remember to take a look if the card has an annual fee and its up to you to determine if the perks and rewards the card offers are worth paying an annual fee. You want to raise your score. Part of your credit score depends on your debt utilization ratio – that’s how much debt you owe in relation to the amount of credit available to you. No matter what the limit is, the closer you are to maxing out a credit card, the worse it is for your score. The best way to handle this is to work at paying down your balances without adding any new debt. If you are responsible with your credit card use and otherwise don’t have any credit issues you could contact your credit card issuer to increase your credit limit, but keep in mind your card issuer may place a hard inquiry to your credit reports and that hard inquiry will affect your credit score in the short term, and there is no guarantee they will increase your credit limit. Again if you don’t have any credit issues, opening a new card increases the amount of available credit you have, as long as you don’t spend more money just because you have more credit. So, if you don’t take on new debt, you should see some improvement in your score. Again, the best way to handle this is to work at paying down your balances without adding any new debt. You want to save money. Finally, if you’re paying interest on credit card debt, opening a balance transfer credit card with a 0% introductory APR on balance transfers might help you. You’ll get an opportunity to pay down your qualifying balance transfer debt interest-free for as long as the promotional introductory APR period lasts. However many balance transfer offers carry a fee for transferring your balances. The balance transfer fee is typically a percentage of the amount of each transfer, so be sure to review the terms of the offer to help you determine if transferring a balance makes financial sense for you. When you receive your monthly credit card statement, you should look it over closely because errors do happen. Errors can be in the form of fraud, merchant mistakes, or unexpected fees you don’t think you should have to pay. If you see something that doesn’t belong, you have the right to dispute the credit card charge. Disputing credit card charges is a fairly straightforward task. The first step is to call your credit card’s customer service department to ask if they can resolve the issue over the phone. In some cases, the issuer may ask you to submit a letter documenting the dispute. If they do, your letter should explain the issue, including as many details as possible, and what resolution you’re asking for. You should send this letter within 60 days of receiving the statement that shows the error. Your letter should also include any evidence you have to back up your claim. For example, if a restaurant tacks on a $20 tip when you really wrote in $2, a copy of the original receipt would be helpful. In the case of fraud, you may need to explain how you could not have been the person who made the purchase, for example, because you live in New York but the transaction took place in Los Angeles. 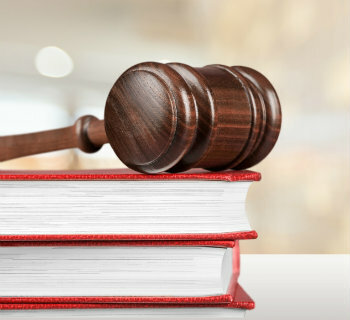 If you are requesting a chargeback – that is, you were charged by a merchant but you want to refuse to pay – you’ll need to convincingly explain why. Credit card issuers each have specific mailing addresses for disputing a credit card charge and it is not the same as the address for mailing payments. Send your letter by registered mail so that you will have proof of delivery. After you submit a dispute, the credit card company will have two billing cycles to review it. During this time, they cannot demand that you pay the disputed amount or threaten to hurt your credit score. At the end of the review, they will send you a letter explaining their decision, whether you still owe money and if so, how much. Using the card is the easy part. You can spend, up to your credit limit. It’s never a good idea to max out your cards, however. Once you have your credit card, you can use it to purchases goods and services from any merchant that accepts that card. Not all stores accept credit cards and some only accept certain types, for example they may only accept Visa® and Mastercard® but not Discover®. Controlling use is harder. A credit card puts serious purchasing power in your hands. But the more you use the card, the bigger the bill. End-of-month statement shock happens all the time. The best way to use a credit card is on things you would normally buy anyway and that are well within your budget, not on things that would not be affordable if you were forced to pay with cash. Pay the bill so it is received and processed on-time and in full each month (or early) to avoid the downward spiral of credit card debt. At the end of your monthly billing cycle, your card issuer will send you a statement (on paper or online) that shows all your transactions, the total amount you owe and the minimum payment that is required. The payment deadline will be clearly noted on the first page of the bill. Typically, for most credit cards if you pay off all your purchases by the deadline, you will not owe any interest on those purchases, be sure to read the fine print for your particular credit card. However, if you do not pay everything off, the credit card company will charge interest on whatever portion remains unpaid unless you happen to be in a zero percent introductory APR promotional period for purchases. Most credit card companies begin charging interest on cash advances and balance transfers on the transaction date however, again an exception, for balance transfers if you have a zero percent introductory APR promotional period for your qualifying balance transfers. If you do not make at least the minimum payment, the credit card company typically will charge you a late payment penalty and some card issuers could increase your interest rate to a much higher penalty APR. Although there are credit card companies that do not increase your interest rate to a much higher penalty APR for paying late, so read the terms of the offer of any card you are interested in to see how they handle late payments. Your credit card has a set spending limit. If your unpaid balance reaches this limit, you will need to make a payment before you can make any more purchases with the card. If you attempt to spend over your limit, the transaction will be unsuccessful unless you have previously opted in to over-the-limit spending. If you opt in to over-the-limit charges, your credit card issuer can typically charge you a fee of up to $25 the first time it happens, and up to $35 if it happens a second time within six months, the fee can’t exceed the amount by which you went over. If you previously opted in, you can opt out at any time. Also some credit card issuers no longer charge an over-the-limit fee, so be sure to check with the credit card issuer you are working with or are thinking about working with to find out their policy. Credit card companies make money in many ways. On the merchant side, credit card processing fees are a big moneymaker. Every time you buy something with your credit card, the store pays a fee, often 2-3% of the amount of the transaction, plus $0.25 to $0.75 per transaction. Most U.S. merchants absorb this fee. Some businesses, like gas stations, pass the fee along to consumers who want to pay with credit. Others impose a minimum purchase, up to $10, if you want to use a credit card. Fees and costs take many forms on the consumer side. The expense that keeps many people in a cycle of debt is the interest you’ll pay if, for example, you don’t pay off your purchase balances in full every month. You might also pay an annual fee for owning a card or a foreign transaction fee for using your card for purchases made outside the United States. Most cards charge a fee when you transfer a balance from another card or take a cash advance against your account. You’ll typically pay a fee if your payment is late or returned, such as for insufficient funds in the account you tried to pay from. Some credit cards, particularly those marketed to consumers with bad credit, charge a processing fee for applying and some may even charge a monthly maintenance fee for keeping the account open. We even know of a card that charges a fee for increasing your credit limit. Many credit cards charge an annual fee that you need to pay every year to keep your account active. For some consumers, the annual fee is a worthwhile investment that is returned in the form of rewards and benefits. For those who prefer to keep costs down, there are plenty of credit cards with no annual fee at all, including some that offer rewards. You can find credit cards from our partners with no annual fee on the Credit Sesame credit card marketplace by selecting the “no annual fee” checkbox in the left-hand filter panel. If you travel outside the United States, including Mexico or Canada, and you need to use a credit card while you travel, research credit cards with no foreign transaction fee. Otherwise, you might pay a fee equal to 2-3% of the transaction amount for every purchase transaction made in another country. One of the ways credit card companies entice you to sign up for a particular card is by offering a bonus for qualifying new cardmembers. These are one-time perks that you get, usually after you reach a minimum spending requirement within a set period of time, or meet some other condition/requirement that the card issuer sets. What’s the bonus worth? When you look at rewards cards, it’s easy to be wowed by the lure of 50,000 points or 60,000 miles. Not so fast. Before you settle on a card, you need to have a sense of how valuable the bonus really is. For example, let’s say you’re torn between two travel rewards cards. Card A offers a bonus of 30,000 miles, which can be transferred to your favorite frequent flyer program. Card B has a bonus of 50,000 points but they can only be redeemed as a statement credit against travel purchases. Card A has the smaller bonus but you may get more value from it if you’re able to combine it with your existing frequent flyer miles to save big on your next trip. In addition, keep in mind that your redemption value can vary based on how you choose to redeem your rewards. How much do I need to spend to qualify? For the most part, credit card companies don’t hand out bonuses without asking for something in return. To qualify for a new cardmember bonus, you usually have to spend a certain amount of money on purchases within the first few months of opening your account. If you’re not a heavy spender, having to charge $4,000 in purchases to snag 40,000 bonus points might mean taking on more debt than you normally would. If you have to carry a balance, the amount you pay in interest might soon outweigh the value of the bonus. How rewarding is the card beyond the bonus? Getting a new credit card just to land a big bonus doesn’t make sense if you don’t plan to use the card again. You may pay fees for a card you don’t need, or run the risk of racking up additional debt. Remember, each new inquiry for credit shows up on your credit report, resulting in a slight ding to your credit score, and some applications for credit may be denied if you have too many open accounts. So it makes the most sense to only apply for credit when you need it, and when the product makes good sense for your overall financial well being. Do the bonus and the regular rewards program justify any required fees? While there are a few cards that offer a bonus without charging an annual fee, not all do. If you come across a card with a generous bonus but a hefty annual fee, that’s a reason to pause. You’ll need to analyze the card’s benefits to determine whether they are worth the cost. In addition some bonus offers are not available to applicants who have or have had the credit card in the past, so be sure to read the offer terms of the specific card to help to inform you if you are eligible to earn the bonus offer. 1. Your interest rate can’t be hiked on a whim. If a credit card company wants to raise your rate, they can only do so under certain conditions. For example, your rate can change if a promotional period ends, if you’ve got a variable rate and the index rate it’s tied to changes, or if you make a late payment and the card’s terms include a penalty APR. 2. You can opt out of significant changes. When your card issuer decides to make changes to your member agreement, you don’t have to go along with it. You can opt out and close your account but keep the old account terms in place. 3. Extra payments must go towards the highest interest balance first. It used to be that if you had balances on your cards with different interest rates (for example, a zero percent balance transfer and a regular APR purchase), the card issuer was allowed to apply your entire payment to the balance with the lowest interest rate. That meant your most expensive debt was the last to be paid off, trapping you in a cycle of debt longer. The CARD Act reversed that and now anything you pay over the minimum must be applied to the balance that has the highest rate. 4. Over-limit fees are capped. A card issuer cannot charge you an over-the-limit fee unless you opt in to permit over-the-limit transactions. If you don’t, any purchases that would put you over your limit must be declined. If you do opt in, the fee is generally limited to $25 for the first occurrence, and $35 if a second occurrence happens within six months. In both cases, the fee can’t exceed the amount that you spend over your credit limit (if you go over by $1, the fee will be $1). 5. The payment deadline has to be clear. The card issuer has to give you at least 21 days after your statement is mailed or delivered electronically to make a payment. Your due date must be the same each month and the cutoff time for making a payment on the due date can be no earlier than 5 p.m ET. 6. Approval is tougher if you’re under 21. One of the most important parts of the CARD Act centers on young adults who apply for credit. Generally, you have to be at least 21 to apply for a credit card. Anyone younger than that needs a co-signer or must show proof of income before they can be approved for a credit card. Not all credit card issuers allow or accept co-applications and co-signing so be sure to check with the lender, or credit card issuer as to their policy around co-applications and co-signing. The nice thing about credit cards is that they can essentially give you a short-term interest-free loan. You can buy something today and pay for it when you get your credit card bill, usually interest-free. On the flip side, if you don’t pay it off, you’ve essentially taken a loan and you must pay interest just as you would on any other type of loan. Your credit card’s interest rate is important because it determines how much money you’ll pay for the things you charge if you carry a balance. If you don’t or can’t pay in full each month, using low interest rate credit cards is a smart move. According to the Federal Reserve, the average credit card interest rate for all accounts was 12.16% in May 2016. That figure includes consumer and business accounts, and accounts that currently have a 0% introductory offer in place for purchases and/or balance transfers. Most consumer credit card APRs were between 8% and 24%, averaging around 16%. Penalty rates typically were a variable APR of 28% to 30%. Interest rates are not capped by any law and have been known to reach nearly 80% in recent years. We would never recommend a card that carries that kind of interest rate. The Annual Percentage Rate (APR) is the yearly rate of interest on a credit card. The credit card company uses it to calculate your interest charges on a daily or monthly basis. The easiest way to figure out how much your APR costs you is to divide it by 365, which gives you the daily rate. You then multiply that by your balance each day to figure out the daily interest charges. Most credit card issuers calculate interest on a monthly basis. They find your average daily balance by adding all of your charges for the billing period and dividing the total by the number of days in the period. This number is multiplied by the daily rate, and then by the number of days in the statement period. The final result is added to your balance. Here’s an example. You owe $5,000 on card with a 12.99% APR. The daily rate is 0.0356% (12.99 divided by 365). The daily interest on $5,000 is $1.78. If the billing period has 30 days, the interest charge for the month is $53.38. If you make just the minimum payment of $100, you’re effectively throwing more than half of it away just on the interest charges. Your new balance will be $4,953.38 – not much headway at all. 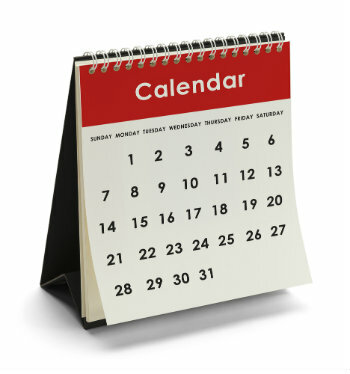 Most credit cards offer a grace period before charging interest on your purchases. You must have at least 21 days from the time your statement is sent to you before your payment is due. Generally, if you pay off your charges by that date, you won’t pay interest. If you don’t pay off your purchases by the due date, you’ll pay interest on the remaining balance. You’ll also pay interest on every new purchase from the date of each transaction, with no grace period at all. Once you completely pay off your balance you can get your grace period back, but it may take a couple of billing cycles. Also, some transactions don’t get a grace period, like cash advances and purchases made with courtesy checks drawn on your account. You also may not get a grace period for purchases if you made a balance transfer that hasn’t been paid off yet, even if that balance transfer has a zero percent introductory APR. When you do a lot of shopping for yourself, your family or your business, having a credit card that pays you back in rewards can really come in handy. Which card is most rewarding? If you’re wondering what the best credit card for online shopping is, or which one yields serious cash back in rotating categories, take a look at these two examples. 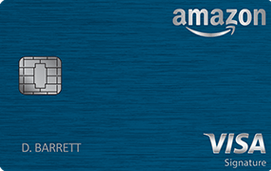 The Amazon Rewards Visa Signature Card issued by Chase is designed for individuals who shop at Amazon.com and who also want to earn rewards everywhere else they make purchases with the card and where VISA is accepted. This card offers rewards on your purchases, which are tracked as points that you can redeem for instant savings at the Amazon.com checkout for eligible purchases or for gift cards, cash back and travel on Chase.com (redemption value may vary based on how you choose to redeem your points). New cardmembers are eligible to have a $50 Amazon.com gift card loaded to your account upon approval of your credit card application. This is a rare signup bonus that requires no minimum amount of spending on the card. This card has no annual fee. If you don’t mind keeping an eye on the calendar, this card is a good pick for earning cash back without an annual fee. 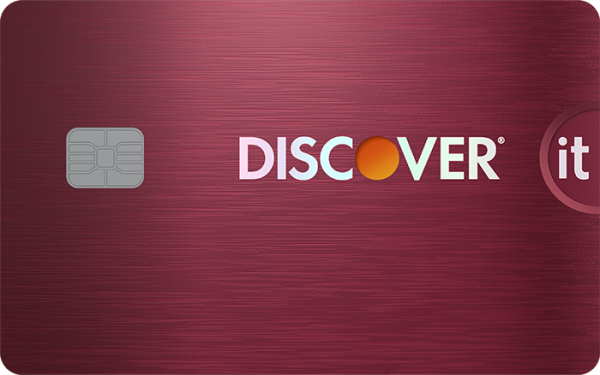 Discover has the 5% cash back categories for 2019, so you can plan your purchases to maximize your rewards. This card offers 5% cash back at different places each quarter like gas stations, grocery stores, restaurants, Amazon.com and more up to the quarterly maximum, each time you activate. Plus, you earn unlimited 1% cash back on all your other purchases – automatically. **5% cash back at different places each quarter like gas stations, grocery stores, restaurants, Amazon.com and more up to the quarterly maximum, each time you activate. You can learn more about the bonus categories at the Discover website. Instead of offering a bonus up front, the Discover it® Cash Back card rewards you with an introductory offer: Discover will match all the cash back you’ve earned at the end of your first year, automatically, for new cardmembers only. There’s no signing up and no limit to how much is matched. Does paying student loans with a credit card make sense? Paying off student loan debt can be a drag, but there’s one potential way to get some of what you’re paying back. If you pay your student loan with a credit card, you could possibly earn cash back, points or other money-saving rewards. Find out before you authorize the charge how the payment will be processed and that will help you determine if the charge will be eligible for any rewards. Not all lenders allow you to pay student loans with a credit card so you’d have to check with your loan servicer to see if it’s allowed. If your lender gives you the green light, here’s what you need to consider first. Find out if there’s a fee. While a student loan servicer may let you pay with your checking or savings account at no charge, they may tack on a processing fee for using a credit card. Getting stuck with a high fee can cut, or even eliminate any rewards you earn on the transaction. Check your credit card’s Annual Percentage Rate (APR). If you charge your student loan payment to your credit card, be sure you can pay it off in full each month, or you’ll pay interest twice – once on the loan and again on the credit card (for however long it takes to pay off the balance). Make sure the payment is processed as a purchase. Transactions are coded, and different terms apply to different types of transactions. There’s a big difference between a purchase and a cash advance. Cash advances usually come with a higher APR, incur interest from the day of the transaction, and can trigger a fee. If you’re not sure how the payment will be processed, find out before you authorize the charge. Independent Review Disclosure: All the information about the Amazon Rewards Visa Signature Card credit card has been collected independently by CreditSesame.com and has not been reviewed or provided by the issuer of this card. The Amazon Rewards Visa Signature Card credit card is not available through CreditSesame.com.